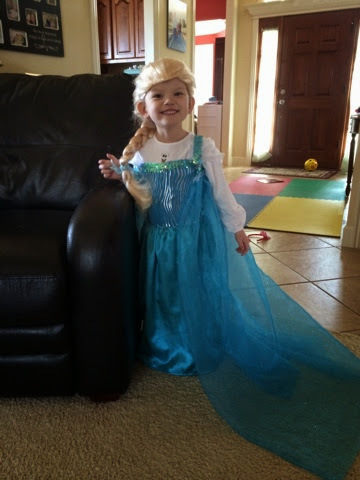 Ever since we got back from the hospital, all Kayla wants to do is anything related to the Frozen movie. We watch the movie, listen to the soundtrack, read the book, sing the songs, and play it. 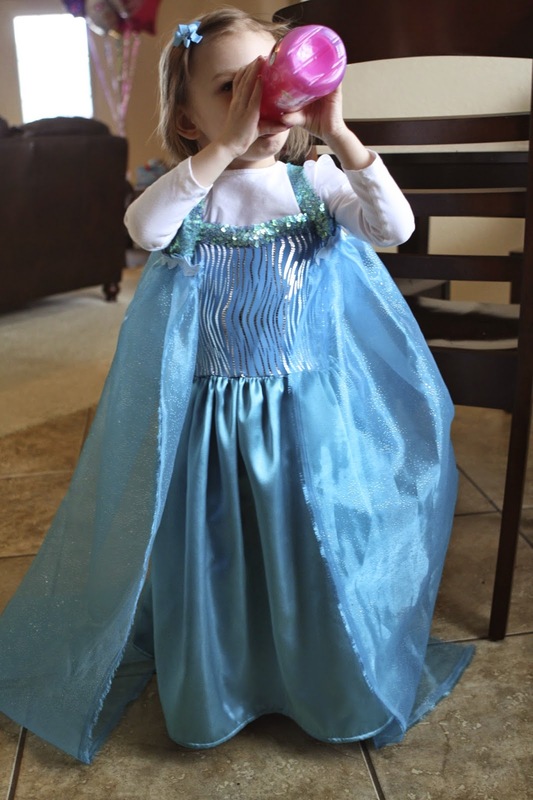 Kayla would sing the "Let It Go" song in her Cinderella dress. Super cute..but I wanted her to have an Elsa dress, so I searched online and at Walmart, Target, and JCPenny stores in town. 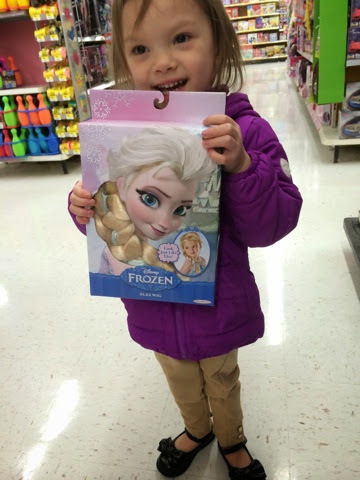 Most stores were sold out of any Frozen toys/clothes. The dresses were being resold on eBay for way more than I wanted to pay, so I decided to just make one. I couldn't figure out what to make with the top part. My fabric choices were limited at the fabric store that I went to, so I chose the only shimmery blue knit fabric available. Instead of making the cape go around the neck, I made it with shoulder straps. The sequin ribbon was elastic, so that made it easy. 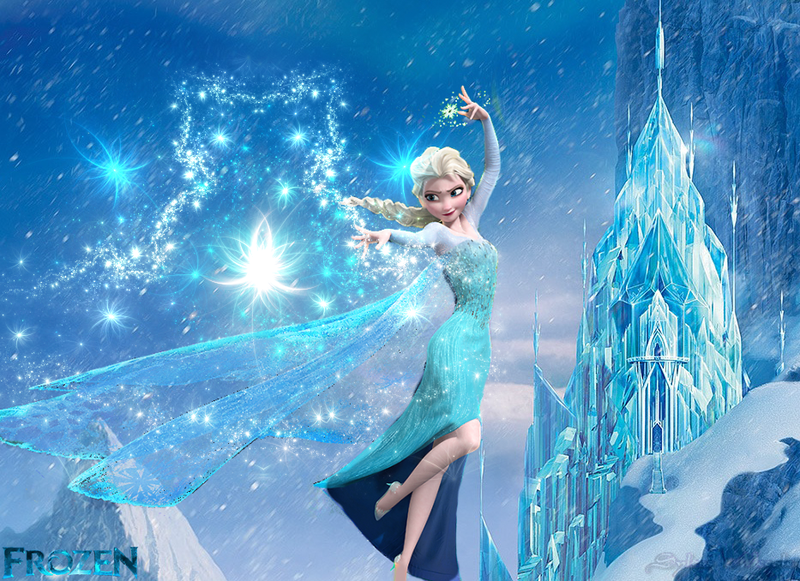 If you notice in the movie, the cape is actually attached on the back of the dress under the arm area. 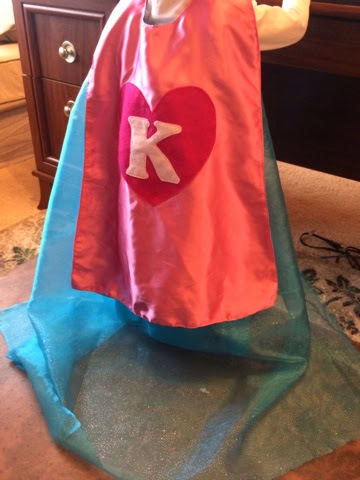 Kayla wasn't really satisfied with that and got her super hero cape to go over it. 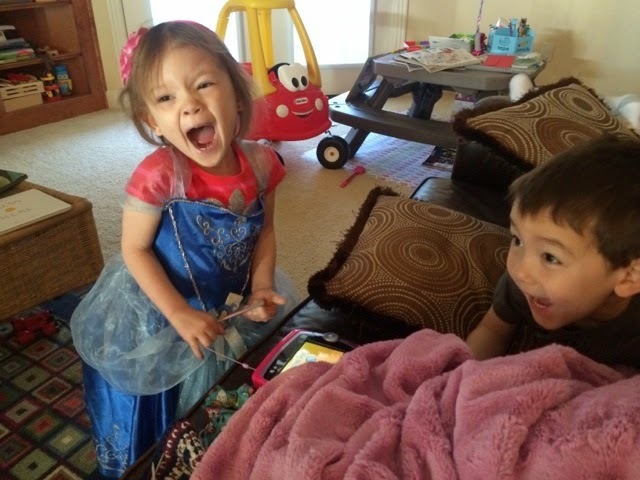 She watched the movie more and realized the cape that Elsa wears around her neck is the one she wears before she changes to her main outfit. We went to Walmart today and she found this wig that she had to have. We don't normally buy toys at the store when the kids are around. However, I told her after her surgery that she could pick anything she wanted as her "after surgery" present. 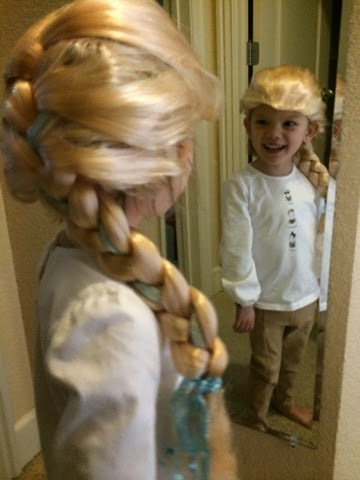 I thought maybe she'd pick an Elsa doll or the castle, but the wig was a must-have. She was excited to get it. 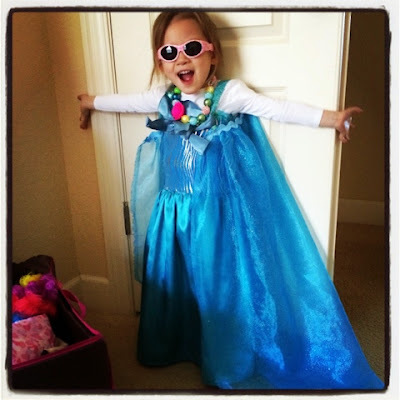 She loves wearing it with her dress. 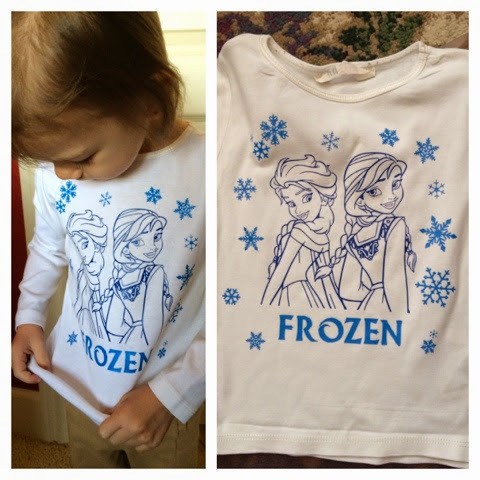 I also made her a Frozen shirt. Kayla chose which picture she wanted on her shirt and I cut the design and used my neighbors heat press to get it on the shirt.